Do you want to become a train driver, on a train driver graduate scheme or apprenticeship? Are you looking to change jobs within the industry? Competition is fierce for each train driver job, so you will want to prepare to be one of the best at each stage of the recruitment process. Prepare for your train driver test with our online practice packs. On average over 300 people are rejected for each train driving job available. This means that if you want to become a train driver, you need to be on top of your game. Recruitment processes usually include train driver aptitude tests somewhere along the process. These are used to discount a large number of applicants in one go. Practicing ahead of taking the test is the best way to ensure that you are not one of the unlucky ones. Learn more about how to prepare for each new test on this page. The first stage of any train driver recruitment process involves an application form. It is crucial that you complete the form properly in order to move on to the next stage of the recruitment process. Take your time completing the form, and make sure that you answer every question. Read the questions carefully, and provide examples from your previous experience in your answers. Don’t just tell the recruitment team you can do something, tell them about a time when you have actually done it. Train driver tests may be either online or at a train driver assessment centre or recruitment event, along with an interview. You must pass the tests in any recruitment process in order to progress to the next stage. This page will go through some of the different tests that you can expect as a part of your train driver recruitment process. The exact tests you get depend on the train operating company you are applying to. With some companies you only have two chances to pass any tests. If you fail these tests twice you cannot take them a third time. Preparing thoroughly for each test is key. Prepare for your tests with our extensive range of tests, including preparation packs in the styles of most major test providers. Here we look at some of the train driver aptitude tests that you may come across. Among the most common are technical tests such as mechanical comprehension or reasoning, fault finding or logical reasoning. A mechanical comprehension test examines your basic understanding of mechanical concepts and terminology. In this test you are usually given questions about levers, gears, pulleys or other mechanical processes and asked questions about how they work. Each question is multiple choice, giving you a set of answers to choose from. In order to answer these questions you need to have a basic knowledge of how these things work, usually the level needed to pass GCSE Physics. There is a time limit on this test, and usually you have around 30 seconds to answer each question. Taking practice tests helps you practice working to the time limit and helps you refresh your memory on the different types of questions in the test. Fault finding tests assesses your technical knowledge and ability to recognise, diagnose and repair faults in a system. These skills are also a measure of your ability to keep calm and solve a problem when it arises. Logical reasoning tests look at your problem solving skills and intelligence without using words. In these tests you are usually given a series of shapes linked together by a pattern and a list of options for a missing or final shape in the sequence. You need to identify what this connection is and choose the correct option. Logical reasoning tests are often divided into different categories of logic skills, such as abstract reasoning, inductive reasoning and deductive reasoning. You can read more about how to prepare for these types of tests with our logical reasoning practice tests and deductive reasoning test practice. Numerical reasoning tests are common across a whole range of professions. These aptitude tests are used to assess how well you can understand information provided to you in a numerical format, for example a table or chart, number series or word problem. Questions in this test are multiple choice, but you must be able to work out the answer in order to pick out the correct option. Learn more about the types of questions you will come across with our numerical comprehension practice packs. Verbal reasoning tests are used for all kinds of jobs to examine how well you can understand written information. In some train driver assessments this may be presented as a rules and procedures test. In this test you may be given questions on everything from completing sentences to answering questions based on what is written in a short text. Some questions will ask you to agree whether the statement is true, false or you cannot say based on what you have read, and other questions will be multiple choice. All tests are timed, with about 30 seconds allocated to each question. Practice for these tests and learn how to answer quickly and efficiently with our verbal comprehension practice packs. Some train operating companies will ask applicants to take a personality test. Personality tests give a picture of who you are, how you work, and an indication of how you may respond to your workplace. The key to these tests is to just be yourself. But as with any other test, it is good to know what you are going into, so prepare for your test with our personality test practice pack. You may be asked to take a situational judgement test. The purpose of this test is to see whether you will respond to situations in the workplace in a way that fits the company’s values. In a situational judgement test you are given a scenario based on a workplace situation. Your task is to choose the most or least appropriate response to this situation from a list of options. This test is particularly important for anyone who works with customers. If you pass any earlier stages, you are next invited to a train driver assessment centre or recruitment event. This day may combine a range of assessments including psychometric tests if you have not sat them earlier, more technical tests, and interview or other tasks. As well as train driver aptitude tests, you may also be asked to sit a number of more specialised tests. In this section we will look at some of the more common tests. This test looks at how well you can commit important information to memory and recall it when needed. This test contains two sections. In the first section, you are given a recording to listen to on a railway topic. Once the recording is finished you are given a sheet of multiple choice questions to answer from memory based on what you have heard. The second section of the test is a verbal reasoning test with a passage of information and a series of multiple choice questions on it. Depending on the train operating company you are applying to, this test may be either a Group Bourdon test or the SCAAT (Safe Concentration and Attention Test) test. These test your ability to concentrate on a monotonous task, your multitasking skills, and your ability to switch your focus from one task to another quickly. This test is done either on a computer or a pen and paper. You will be given 5 pages, each containing 25 columns, each with any number of dots. You have to correctly identify every time there is a four dot combination. It’s very rare to get to the end of the page in the two minutes allotted here so try to be as accurate as possible instead of just guessing. In this test you will be tested on your reaction times which are obviously very important if you want to be a train driver. You will have a variety of different coloured buttons and pedals in front of you and have to push the correct one when the time comes. This is when a different coloured shaped or image appears on the computer screen in front of you. As you progress in the activity, the speed will increase at an alarming rate so make sure you are prepared for it. 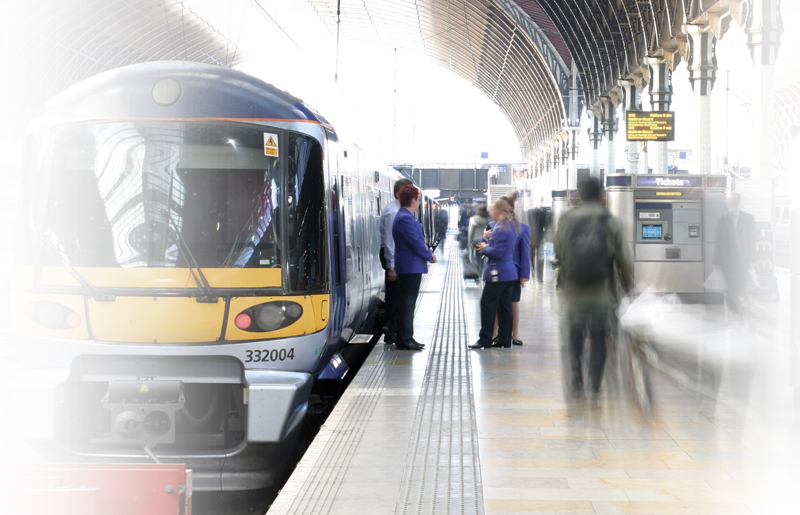 Most train driver recruitment events include an interview, which may last up to an hour. This interview is your opportunity to impress the recruiters on a face to face basis. Questions in these interviews may concentrate on you and your skills (competencies). Ahead of the interview review the train operating company you are applying to. Read up about them, their operations, the routes they cover, including any specific route you may be applying to. Prepare example answers to questions as well as a list of examples from your previous experience that can be used to show off your skills, including the desired skills for train drivers. Prepare answers using the STAR method (Situation, Task, Action, Result). And don’t forget to rehearse your answers. Why do you think that you are suitable for the job? What do we do in this company? What is the geographical range of our service? Describe a time when you have dealt with a problem. Tell me about a time when you have had to deal with a problem with your superior. Tell me about your skills in an emergency situation. Have you ever had to work on your own for long periods of time? How did you deal with this? Give me an example of when you have stayed calm in a pressure situation. Are you good at following rules and regulations? Tell me about a time when you learnt a new skill. Can you tell me about your organisational skills. Train driver selection processes are competitive, and as there aren’t openings for new training drivers very often, you must be prepared to take your chance. Prepare for your train driver online tests and assessments with our range of tailored practice packs.